The opportunity to travel has been a blessing. In the last 8 months, I have been to both South America and Europe. This July, I am traveling to Costa Rica, making a pattern of leaving the country every 4 months - how insane is this? I am very thankful and acknowledge that I am very blessed to get to travel so often. The best part of each of these trips that I have been (and will get to be) a part of is that I've gotten to make lasting connections with the people I meet. Each of the trips I have taken recently revolve around a project or mission. 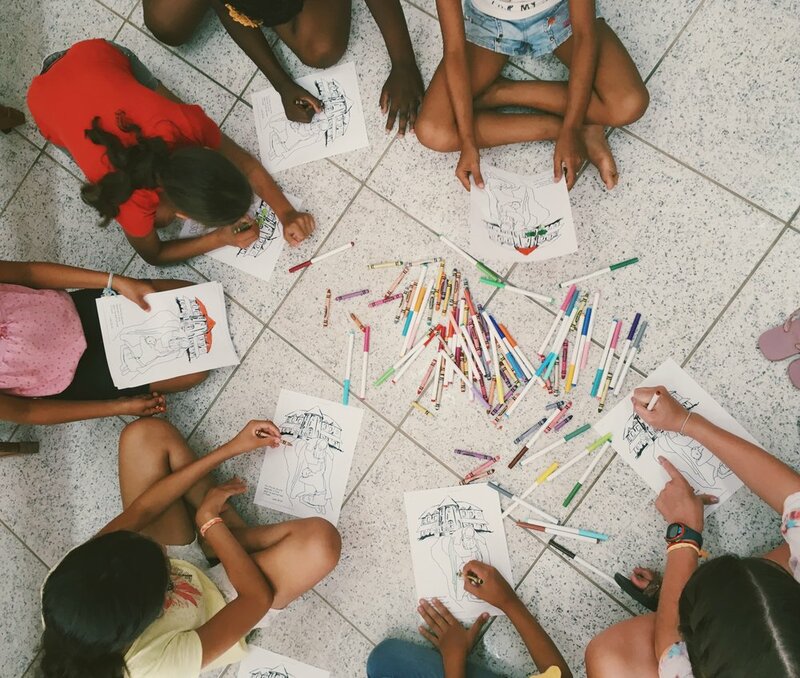 Paris was the art installation, the Great Divorce films, and partnering with Calvary Chapel France, Brazil with teaming up with Restore Brazil and a few Acts 29 churches and serving through a VBS. Costa Rica will be with Homes of Hope and YWAM building houses. 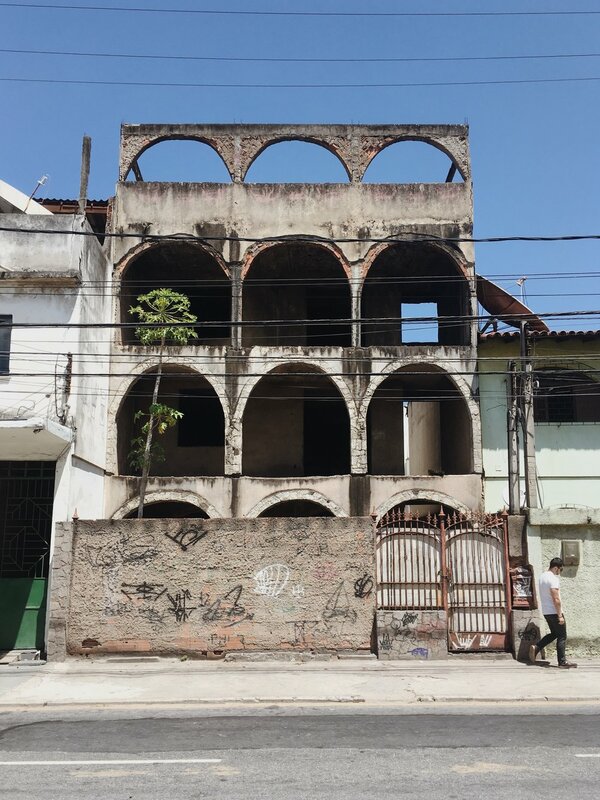 Right now, I want to share images and stories from Brazil! The day we touched down on the runway, we started the crazy-busy-but-fulfilling week in Brazil literally running. 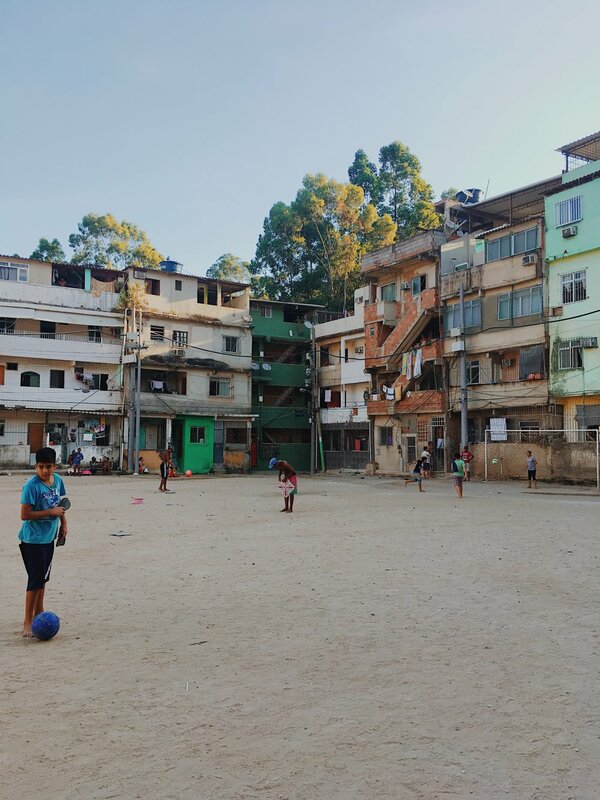 In the city of Rio de Janeiro, we teamed up with Redeemer Bloomington, a Rio Church that serves a community in Tijucquinha full of kids who play on a dirt field in the afternoons. We timidly walked onto their field and watch some of the kids kicking around a ball playing football. Let's be honest: what is more intimidating than joining BRAZILLIANS playing a game football? Being picked for teams by said Brazillians, that's what! We joined the young men on the field and truly, I mostly found myself running up and down and just screaming wildly. Believe me, no one is going to pass the ball to me when playing a rousing and competitive game of soccer; I am competitive, not athletic. While I might come across as athletic to some, others take one look at me and see through that façade and know better than to pass a ball my way! After playing in the scorching sun for a few hours with the kids, we sat them down and chatted with them. Kercho shared his testimony, and then we said our goodbyes and headed to Union Church's building for dinner and an evening Portuguese church service. 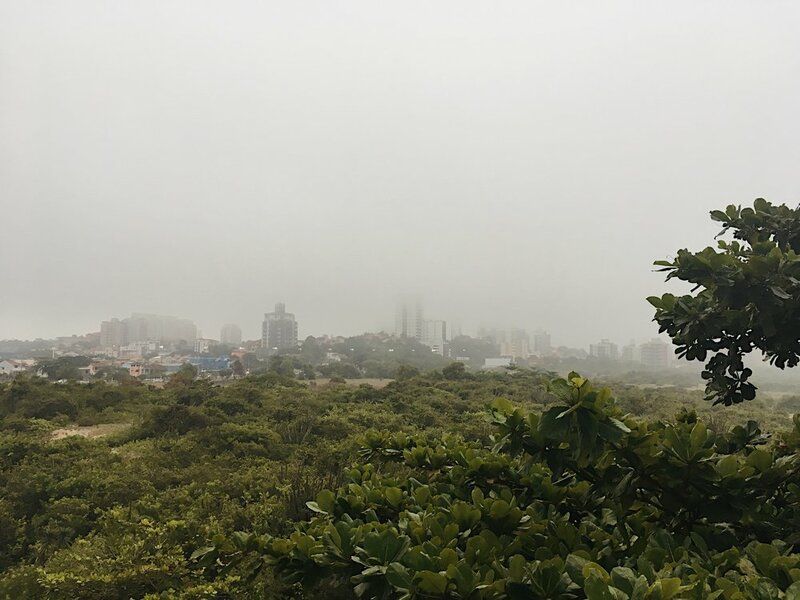 The next morning, we hopped on our bus and made the three hour trek to Macaé. 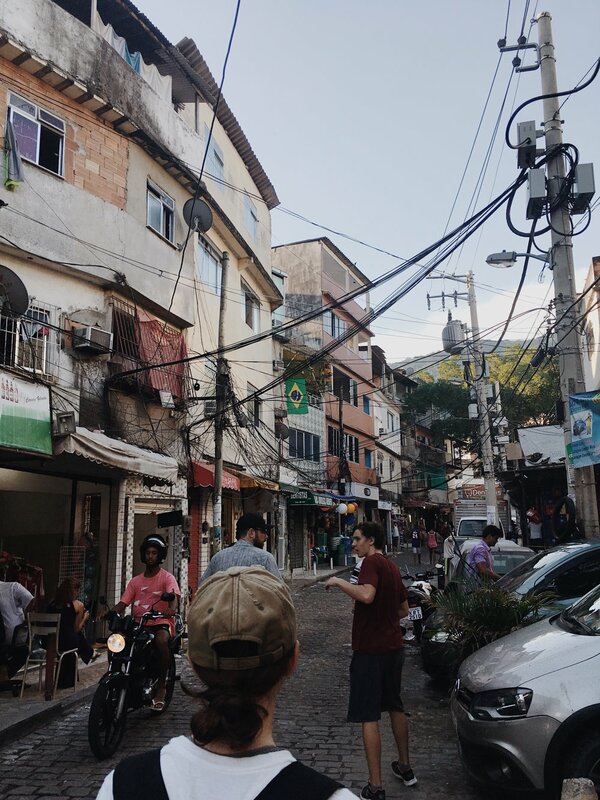 In this city, we would be serving along side Comunidade Batista de Macaé and a group from a church in Sån Paulo. 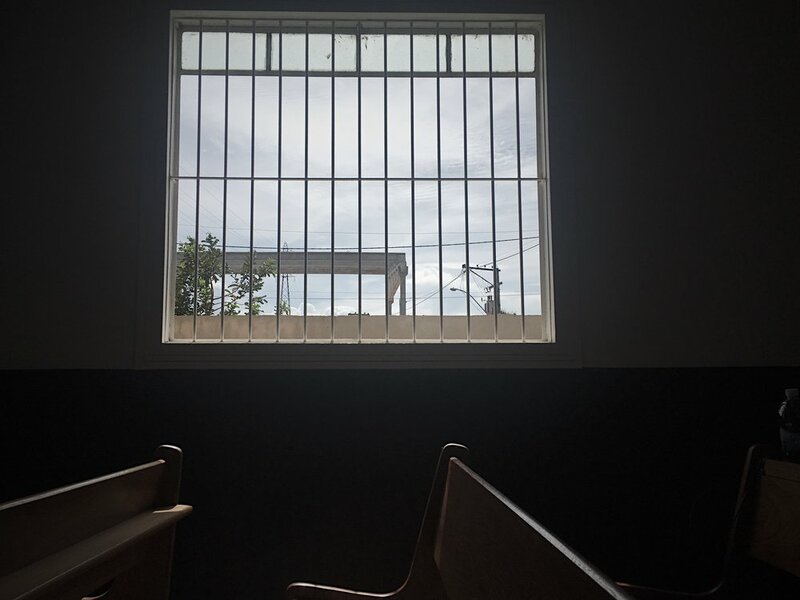 Our team would be serving in two locations in Macaé. In total, we would do four VBS events a day. Each team would do a morning session and an afternoon session each day in our respective locations. The typical day went like this: Wake up, eat breakfast and be ready to load up in your respective van by 8:30am. Drive to your location, do the morning VBS, pack up and head to lunch with the other team, load back into your van and head to do the afternoon VBS, clean up and head back to the hotel to get ready (in only one hour) for dinner and the night activity following the meal. One of the most memorable times of the trip came on our second day of VBS. I had noticed that whenever I sat down, several tiny hands would rest themselves on whatever arm or leg was closest to them. If no leg or arm was immediately available, a little hand was wrapped in my hair or placed on my back. I was a little confused at first, but then realized the reality of these children and why they were doing what they were doing: each child we saw came from a very broken home. While they were living with someone somewhat related to them, often, the person in charge of the child wasn't taking care of them in a way we would want every child to be cared for. What these children desired, whether or not they fully realized it, was loving, physical touch. 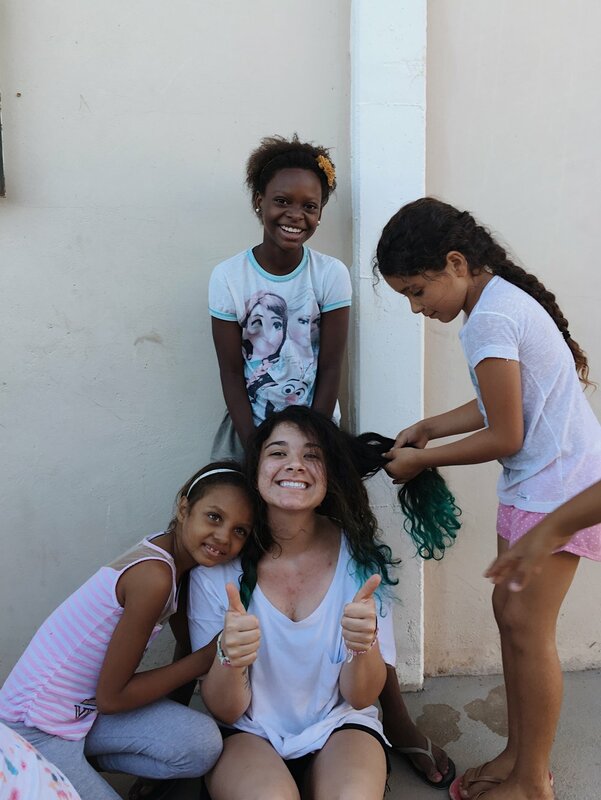 These kids longed to be known and loved, they wanted to be hugged, they wanted us to braid their hair. They wanted to know we were near by, and that we loved them and wouldn't harm them. The little hands on our arms and legs were little hands searching for acceptance, searching for human interaction that wasn't a slap, hit or shove. These kids longed to have the simplest thing, something we, myself included, often take for granted. It was in this moment of realization that I felt the weight of how these kids felt in a very, very tiny way. There have been many times where all I desired was a comforting hug when I felt lonely, lost or scared. I am privileged that it's so easy for me to make that happen. My reality is not reality for everyone else. 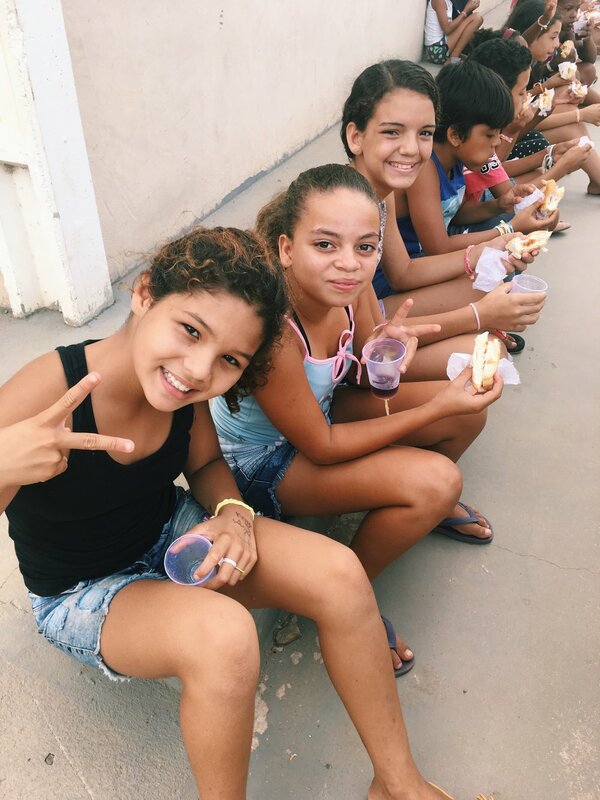 Our time in Brazil was filled with joy, hot sunshine, sprinkled with doubts, spiritual warfare and sadness, and covered by God's grace and love to not only for our team, but for the church's we visited and the kid's we got to spend our days with. Trunk full of Brazilian coffee! Yummy! Thank you so much for all your love and support throughout my crazy, busy, full, insane life! My heart is so full of joy and thankfulness!